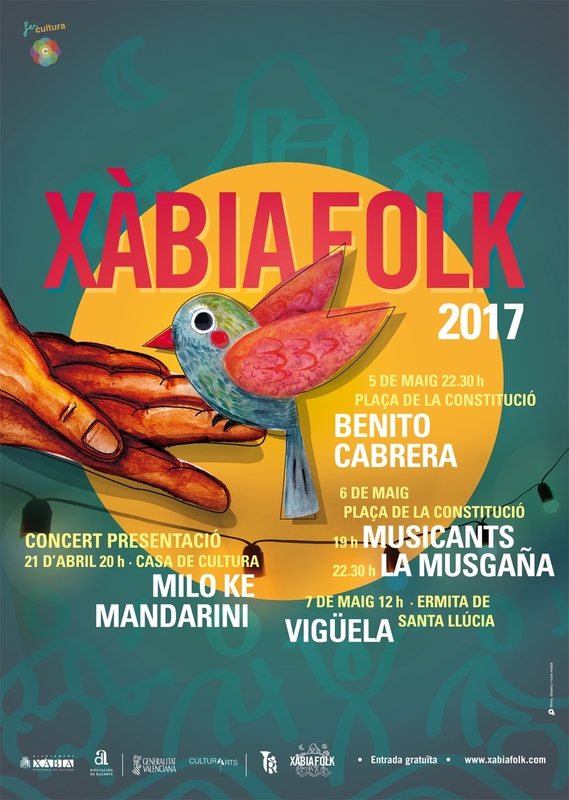 Enjoy traditional music during the Xabia Folk 2017 festival. May 5, 22.30, Benito Cabrera is playing at the Plaza de la Constitucion. His trends range from folk and pop to classical music. May 6, 19.00, Musicants performa at the Plaza de la Constitucion. Music and songs from the Mediterranean. May 6, 22.30, La Musgaña. Listen to the winners of the Spanish folk award for best group at the National Exhibition for Young Performers' Folk held in Santiago de Compostela in 1988. May 7, 12.oo, Viguela at the Ermita de Santa Llucia.